Fluency is one area of speech – language pathology that makes many SLPs anxious. Most students who stutter into elementary school will continue to do so even with treatment and it can be frustrating knowing that we can’t “fix” the stutter like we can an articulation disorder or language weakness. There is a lot about stuttering that we still don’t understand, but there is also a lot we can do to help students who stutter in the classroom and at home. 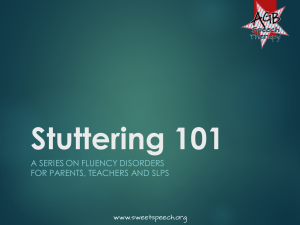 Stuttering 101 is a series about stuttering written for parents, teachers and other speech-language pathologists. We will discuss what stuttering actually is, how to recognize it and determine if treatment is warranted. We will also touch on the types of treatment that are available and how those treatments fit into the educational and medical models of speech therapy. Finally, we’ll take a moment to chat about when it may be appropriate to terminate or minimize treatment for the benefit of the student. 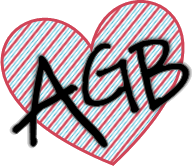 I hope you’ll join me over at AGB Speech Therapy to learn more about stuttering with the Stuttering 101 series, then come back here to Speech Spotlight to explore all sorts of topics with all of us!